Often, the thought of a road trip with young children seems unbearable (Yes, we said it.). However, it doesn’t have to be. 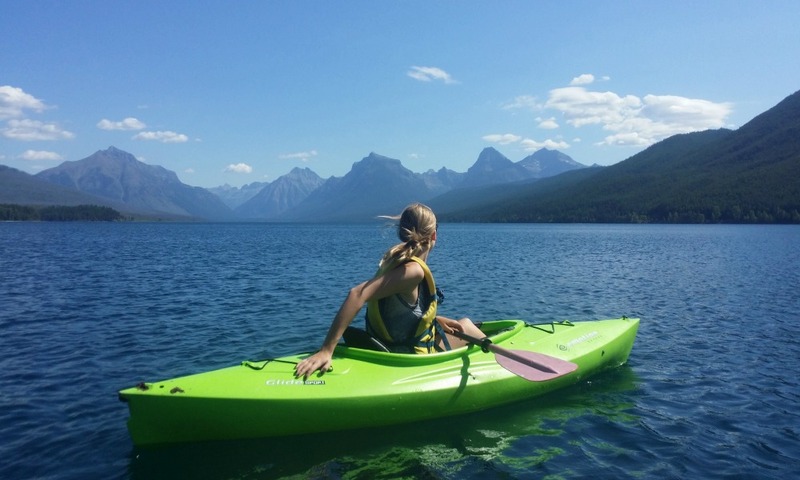 With amazing wildlife, spectacular landscapes, kid-friendly hiking trails, camping and boating opportunities, plus the National Park Service’s Junior Ranger program, there’s plenty to spark or continue your offspring’s interest for nature and wildlife. Side note: Connecting kids to nature has health benefits! Did you know that the National Wildlife Federation’s Green Hour Program is “designed to encourage parents, schools, childcare centers, park agencies, camps, grandparents, and others to adopt a goal of an hour per day of time for children to play and learn outdoors in nature?” In our busy lives, nature is sometimes overlooked when hustling to after-school sports or managing homework. When a long weekend (or spring break) is free from obligation, it’s an ideal excuse for an adventure to a National Park. In these protected places, the stunning diversity of wildlife is dramatic, complex, and filled with action. Your assignment as the leader of the pack is to claim that ‘down time’ for some good old–fashioned family shenanigans. From late spring to early summer, from dawn to dusk, wildlife and their young are out and about, emerging from their dens, exploring their new neighborhoods, foraging through forests and fields, and visiting lakes and rivers. Glacier National Park is located on Montana’s northern border with Canada and straddles the Continental Divide. Imagine glacier-carved peaks, ancient forests, and lakes and streams that defy the definition of blue. 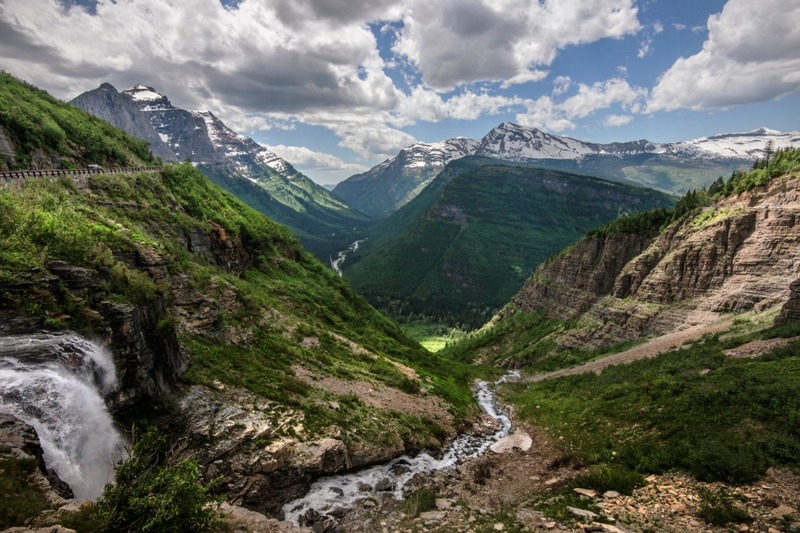 Hiking through aspen groves to sparkling green alpine meadows or driving along the scenic “can’t miss” 52-mile Going-to-the-Sun Road, you’re apt to see one of Glacier National Park’s resident athletes, the Rocky Mountain Goat. 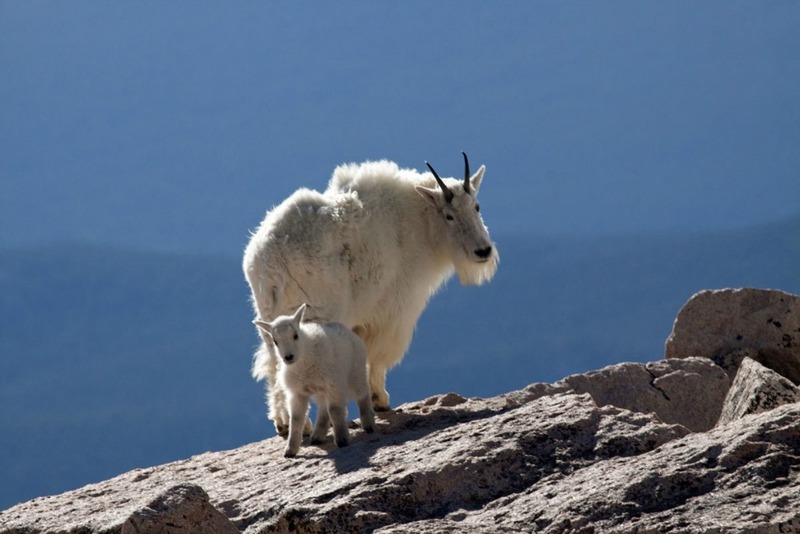 Scrambling up unbelievably steep snow-covered peaks, these mountain goats navigate the rugged, rocky slopes surrounding the glaciers. 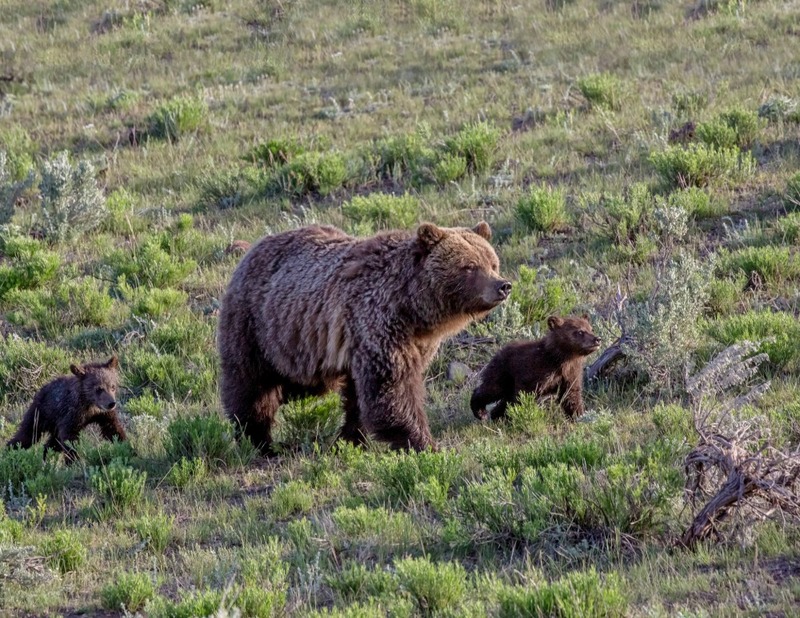 Other residents you’re likely to see while in this expansive, well-protected park are grizzly bears, beavers, bighorn sheep, elk, mountain lions, and pikas. Add 270 species of birds including bald and golden eagles, and Glacier is for discovering this remarkable landscape through its wildlife and natural features. Known by Native Americans as “The Backbone of the World,” and later “The Crown of the Continent,” by George Bird Grinnell, GNP is also known for its geology, namely some of the oldest rocks, which are 1.6 billion years old. When you’re looking for big, beautiful, and breathtaking, this is the place for day or multi-day hikes, camping, or plunking down in one of three park lodges, and showing the kids a huge world beyond the back seat. BigLife Tip: One of the best family hikes is Trail of the Cedars and Avalanche Lake in the Lake McDonald area. Though its size is smaller than Glacier or Yellowstone, Grand Teton National Park is “grand” everywhere you look. Its famous centerpiece is the Grand Teton at 13,770 feet, which towers over the “Hole” valley. Dramatic peaks comprise the Teton Range and millions of visitors swear it’s one of the most scenic National Parks in the world. The ninth longest river in the United States at 1,078 miles, the Snake River meanders through this incredible landscape, bringing mammals including the park’s official mascot—the moose—plus herds of elk, bison, pronghorn, and deer to its 20 major tributaries. With over 250 bird species, this is a birder’s paradise! There are dozens of family–friendly hikes in the park, so plan accordingly. 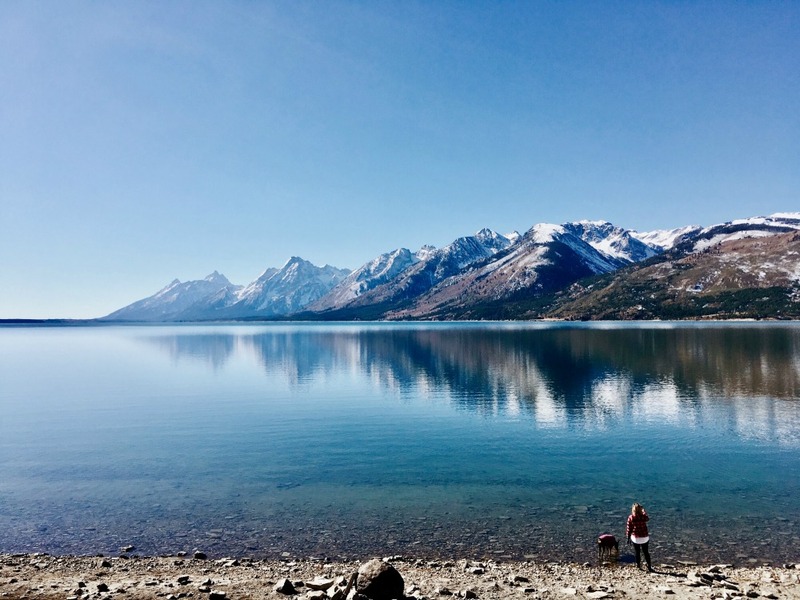 But the real crowd–pleaser here is the hike to Inspiration Point, which begins with a ferry ride across majestic Jenny Lake. Yes, it’s by far one of the more popular park destinations ascending about 1,000 feet in a half-mile, but boy, is it worth it. Hikes around String and Taggart Lakes are superb and you’re practically guaranteed to see wild things at play. When your crew counts older kiddos in the mix, it is possible to add mileage to any loop hike for a longer day. And, if your family is very fit and hikes often, consider Paintbrush Canyon Trail and Paintbrush Divide. This is an alpine environment you’re likely to remember forever. Care to keep it on the “wild” yet easy side? Then absolutely visit both the Craig Thomas Discovery & Visitor Center and the Laurance S. Rockefeller Preserve. 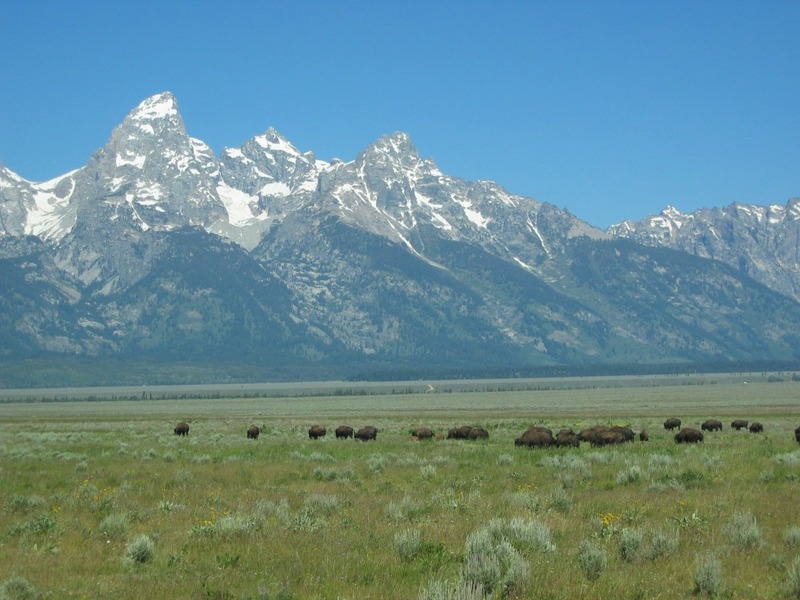 At the CTDVC, view the raised-relief map of the entire park, check out their cool exhibits, and take 24-minutes to watch the high-def movie, Grand Teton National Park: Life on the Edge. At the Rockefeller Preserve, enjoy the beautifully designed LEED-certified building with its meditative spaces filled with thoughtful art that inspires conservation and environmental stewardship. Then take a stroll on Lake Creek/Woodland Trail Loop, which leads to the shore of Phelps Lake. Visiting in the summer? Take a plunge from the “Jumping Rock”! As you head towards the town of Jackson Hole, remember that there are also the National Museum of Wildlife Art and the National Elk Refuge. Mid-May marks the ElkFest and Boy Scout Elk Antler Auction. Located just 90 minutes from Denver makes Rocky Mountain National Park one of the most visited national parks in the United States. 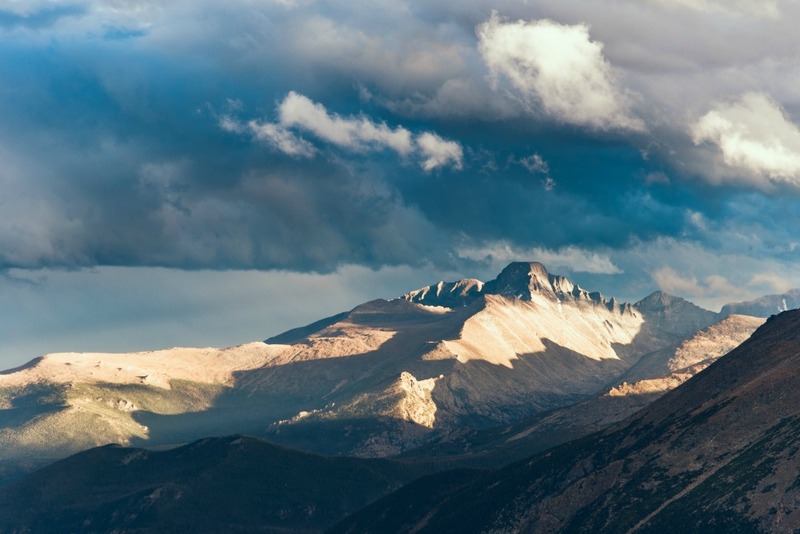 Its Trail Ridge Road, known as “the scenic wonder road of the world” and “highway to the sky,” climbs 4,000 feet to reach just over 12,000 feet, logging in 48 miles between Grand Lake and Estes Park. That alone is an excellent justification for a road trip! Want to stand on the Continental Divide? The 30-mile long Continental Divide Scenic Trail is one of the park’s highlights and literally divides the park into its eastern and western sections. Have the kiddos been asking to see RMNP’s symbol, the bighorn sheep? 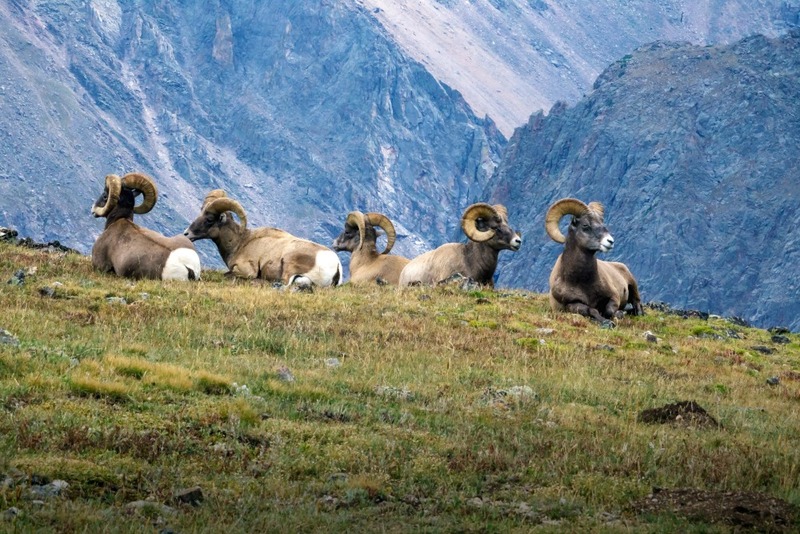 Take them to the “Bighorn Crossing Zone” in Horseshoe Park in late spring and summer where rangers help these 300-pound grazers as they move through the meadows. Is running through fields of wildflowers more your style? There are over 1,000 types including the pretty Colorado Columbine. Feel the need to be in the saddle? There are over 250 miles of trails for horseback riding and several outfitters run guided rides. For the little ones, hike around Bear Lake, Cub Lake, or Sprague Lake. Mind you, these are popular routes so be sure to take that into account, although visiting in spring is quite different than the busy summer months. For the bigger ones, try the round-trip hike to Mt. Ida from Milner Pass. Watch pikas poking out from boulders, coyotes listening for prey in the meadows, and elk munching on grasses. This is Colorado’s finest where a range of ecological zones (montane subalpine, alpine tundra, and glaciers) can be experienced in one day. BigLife Tip: Attend a ranger-led program as a family. The world’s first national park is one to behold. 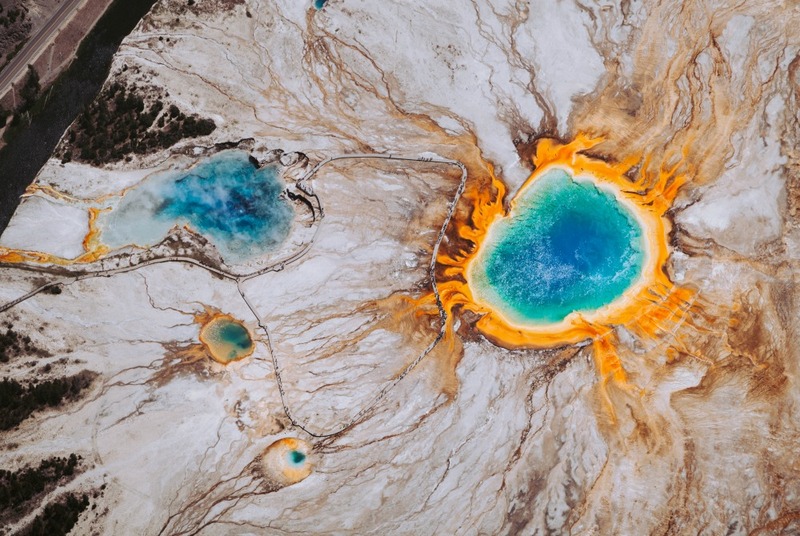 Facts to know: It’s larger than Rhode Island and Delaware combined, it sits on top of the largest super-volcano in North America, and it is known for more than its 10,000 hydrothermal features. Need a bit more to spice up the car conversation? There are over 500 active geysers, about 290 waterfalls, and it is home to the largest high–elevation lake in the United States, which has the largest population of wild cutthroat trout. And about 30 years ago, YNP was designated as a World Heritage site, and later as a biosphere reserve. To quote the United Nations, “Yellowstone National Park is recognized as part of the international network of biosphere reserves. This network of protected samples of the world’s major ecosystem types is devoted to conservation of nature and scientific research in the service of man. It provides a standard against which the effect of man’s impact on the environment can be measured.” It is home to bison, grizzly bears, wolverines, elk, lynx, gray wolves, yellow-bellied marmots, bobcats, and so much more. And between Old Faithful, the Grand Canyon at Yellowstone, Norris Geyser Basin, Upper Geyser Basin, the Grand Prismatic Spring, Hayden Valley, Lamar Valley, Mammoth Hot Springs, Yellowstone Lake, Tower Fall, and the Roosevelt Arch, there is reason to believe you could spend weeks or months in one of the largest nearly intact temperate ecosystems in the world and not see or experience everything it has to offer. 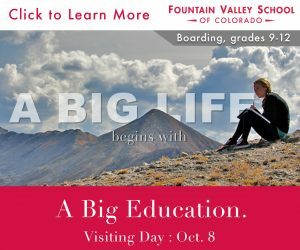 Set realistic expectations and take bites, big bites, and vow to savor the experiences of watching geysers erupt, wolves chasing ravens from a carcass, and mud pots bubbling in the mist. Notice the pink and yellow colors that paint the canyon walls of the Grand Canyon. Listen to the epic sounds of a migrating herd of bison. This is what nature is all about. BigLife Tip: Give the kiddos journals to remember their visit to Yellowstone. Check operating hours and seasons in each park. Alerts in effect are listed. Respect wildlife and their privacy. Talk to a ranger about how to view wildlife safely. Dress in layers. Mountain weather is unpredictable during any season. In spring there are fewer crowds but also the likelihood of snow on trails. Stay hydrated. These parks are athigh altitudes and warrant a water bottle! Donate to your National Parks.